If you remember the album The Power of 3 (1988) then you will find familiarity with The Rules Have Changed. I remember the album but what really left an impression on me was Robert Berry. I interviewed Robert in March of 1999 in conjunction with the ELP Tribute Encores, Legends and Paradox. I still treasure all of those prog tribute CDs Magna Carta released. It was an exciting time with fond memories. Robert and Keith Emerson were discussing reforming 3 and ideas were formulating. The unfortunate passing of Emerson put everything into a different perspective for Robert, as one would suspect. Indeed, The Rules Have Changed. After Emerson’s death in 2016, he was left with the keyboard legends final musical ideas for the project. Everything from old cassette tapes, keyboard parts written over the phone and long discussions between the two friends about style, the framework of the album were set and ready to be produced. I thought providing some of the back stories would be interesting. I also listened to an interview with Robert discussing everything and what I found was more than a multi-talented musician, but an honest and caring man that lost a dear friend. He was speechless when he visited Emerson’s grave. I can understand why. 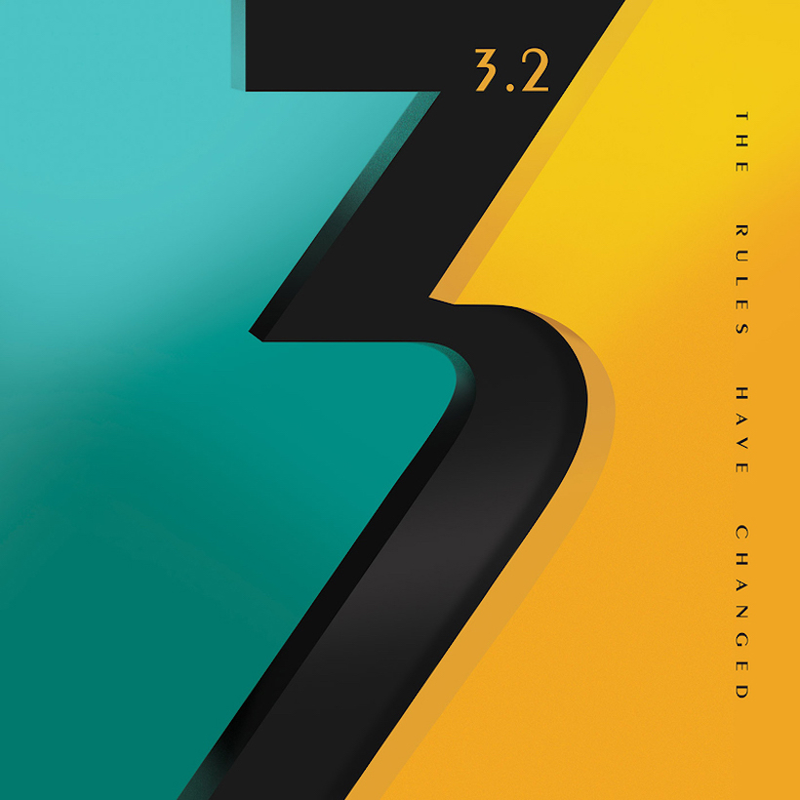 So, Robert decided to move forward with the project in dedication to Emerson and in the true spirit of the music decided to create the 3.2 version of the band. The end result is a fantastic eight-track album. Robert said he could feel Keith while he was playing. I do not doubt that for a second. As I was listening, I was asking myself “Which part is Keith playing” not realizing the entire story and that Robert actually played all the parts! The Rules Have Changed is an excellent recording from beginning to end in my humble opinion. It was not hard for me to appreciate it being a big ELP fan and admirer of Keith’s solo works and Robert’s as well. I saw this listening opportunity as a can’t miss experience. And it most certainly proved to be so. “Powerful Man” is about Keith being a father from a distance with his son. And on the flip side, his son watching his father on stage and becoming inspired by the power of the music he was creating. I thought it was a great choice for a title and the words are inspirational and uplifting and the music is as well. I watched the video (included here) and got chills. Two of the more interesting and entertaining tracks are “The Letter,” which starts with an acoustic guitar and Robert singing in uncharacteristic gruff tone (think whiskey-soaked blues like) and then the song continues to build and change into what you would come to expect in a Berry song. “Your Mark on The World” is a track that I am sure Keith would have loved. It is a crazy prog rock track with a circus-like atmosphere. It made me think of one thing. Who can forget (if you were alive at the time) Keith spinning around in the air at ELP’s performance at the first California Jam? Man, that was unbelievable, but then again so was ELP and Mr. Emerson. After hearing The Rules Have Changed, I felt inspired to write about it as soon as I could. I felt joy, elation, and some sadness while listening. But after all isn’t that what music is all about, people, the human condition. Thank you, Robert Berry, for a wonderful tribute to one of the greatest ivory ticklers the world has had the pleasure to enjoy. The beauty of the memories will carry on forever thanks to what he left behind.